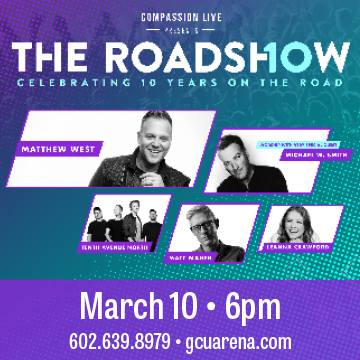 GCU Arena will host Compassion LIVE’s “The Roadshow Tour” 2019 on March 10, 2019. The show will feature four-time GRAMMY® nominee Matthew West, Tenth Avenue North, Matt Maher, special guest and three-time GRAMMY® winner Michael W. Smith, and Leanna Crawford. Tickets are on sale now!